The Bulb Eater® 3L with Intelli Technology® is the next generation of lamp crushing technology. This technologically advanced machine crushes straight lamps of any length, CFLs, and u-tube lamps into 100% recyclable material while capturing over 99.99% of vapors released. In addition to solving your compliance needs, The Bulb Eater® 3L frees up valuable storage space by eliminating the need to store and ship boxes of spent intact lamps. This reduces transportation and labor costs by 80%. 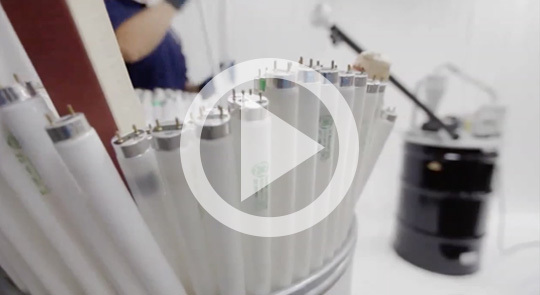 See the Bulb Eater® 3L with Intelli Technoloy® in action. » Watch the Bulb Eater® 3L crush lamps!